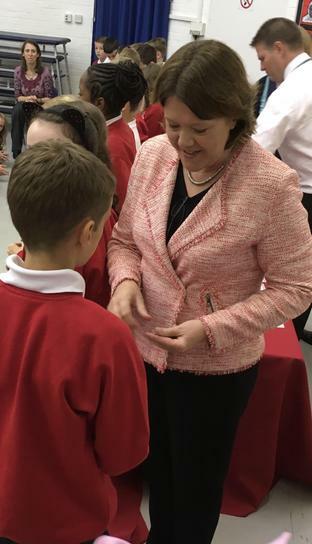 Today we welcomed a very special visitor at our school. 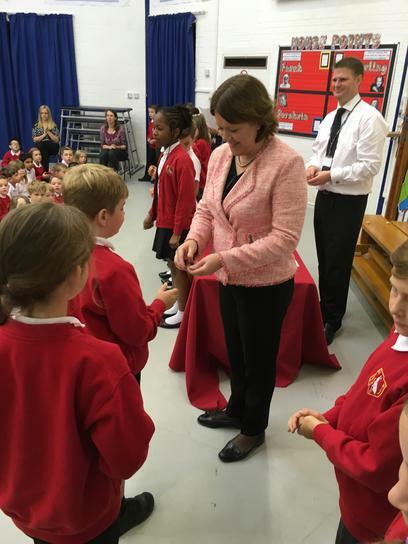 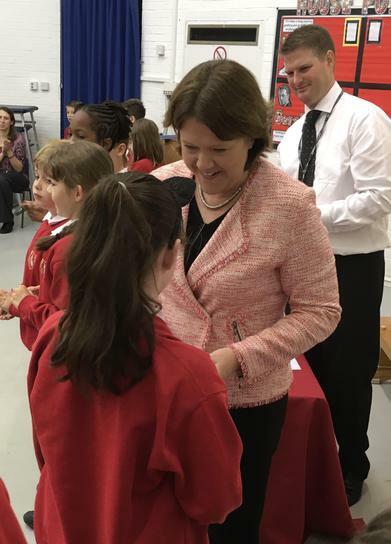 MP Maria Miller came in and talked with our 2015-16 School Council about all the changes they made last year. 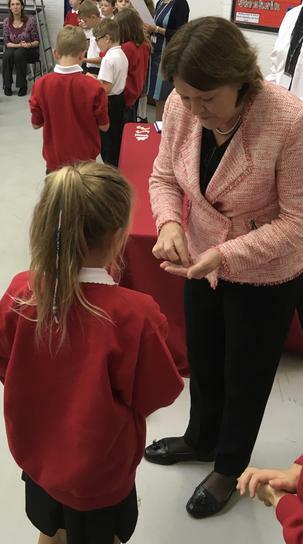 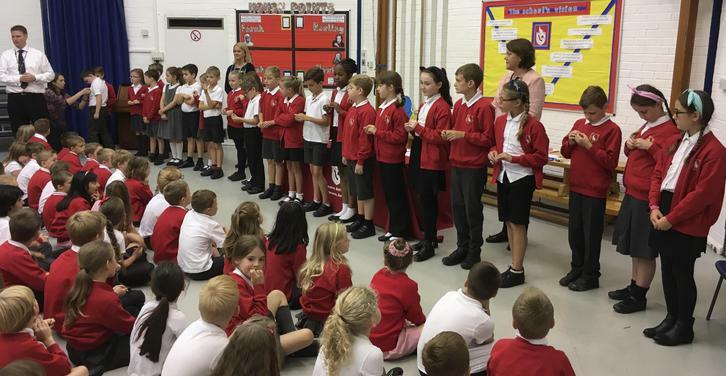 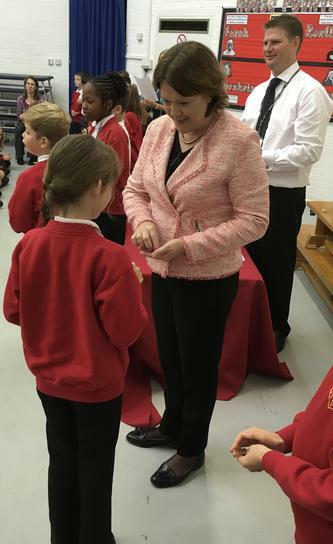 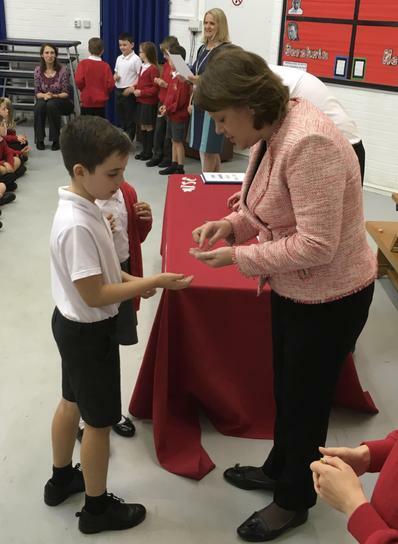 We were really excited that she then came to our assembly and presented badges to our new School Council members.